Dermocalm lotion is used as an anti itching agent to treat mild itching conditions such as sunburn, eczema, rashes, poison ivy, Chickenpox, insect bites and stings. 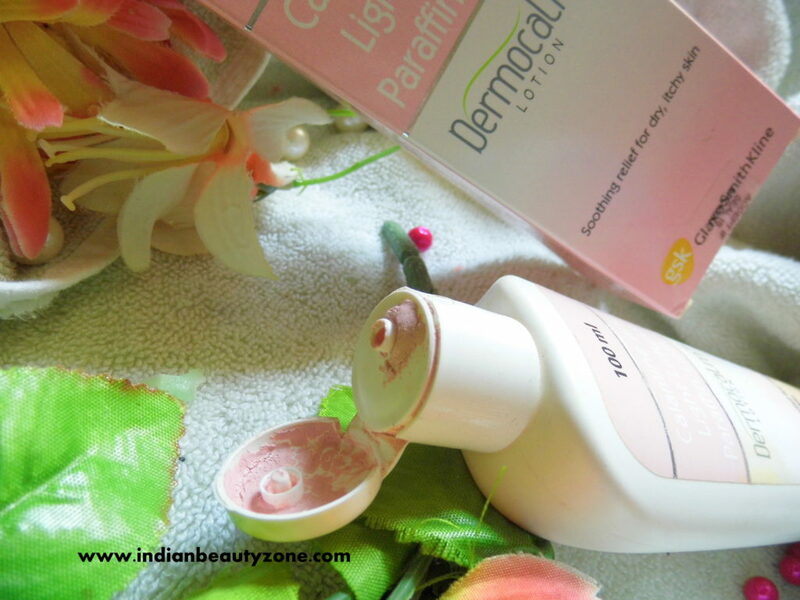 Light liquid paraffin is used as emollient to prevent dryness of the skin. Dermocalm lotion to be applied on the affected area of the skin by gentle massaging, until it vanishes. No recommended dosage for children under 6 months of age except under the medical advice. Not advisable to use during pregnancy and lactation period. Aloe Vera Gel, Glycerin, Bentonite, Steareth-2, Stearath-21, Silicon oil, Dimethicone and Dimethiconol, Magnesium silicate, Methyl Paraben, Propyl Paraben, Perfume, Citric Acid, Purified water. 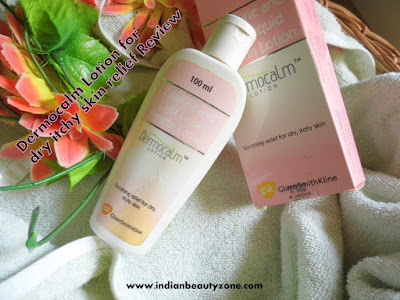 The lotion bottle comes in a pink colour cardboard box, the lotion comes in a pink sturdy plastic bottle with flip open cap. It is travel and user friendly packaging. 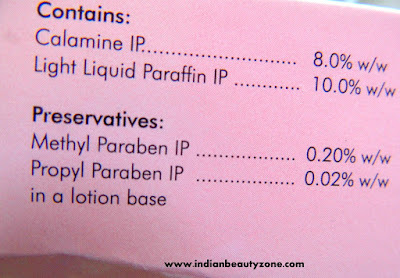 This lotion is a pure pink runny liquid which resembles a lacto calamine lotion, but it is more runny than Lacto calamine and pale pink in colour. It smells very mild and pleasant. 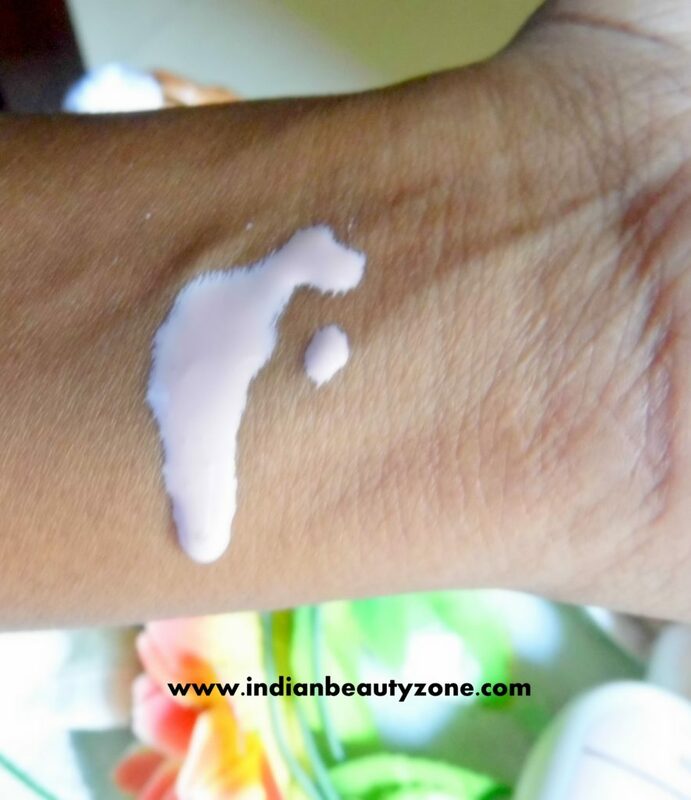 I had severe dry patches due to some allergy on my skin few years back, to tell exactly it was when I started blogging. I found bit difficult to blend this lotion on my skin due to its very runny texture. But, when I found that this product started working on my skin I continued applying this lotion during night times to get my skin back to normal. After a week my skin completely came back to normal and looks more hydrated and smooth. It didn't peel out my dry skin cells, but it made them smooth and they got exfoliated while washing. 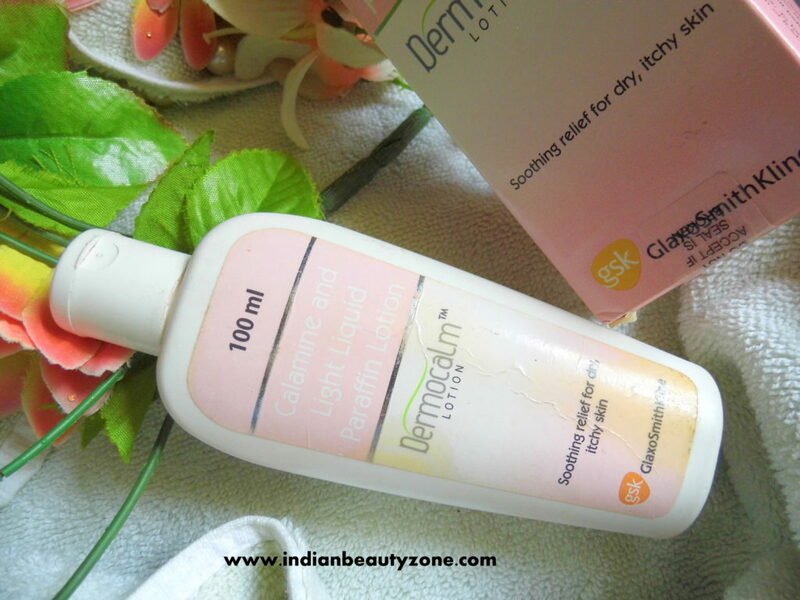 The redness on the skin also completely vanished after a week and I felt that my skin got new birth due to this lotion. 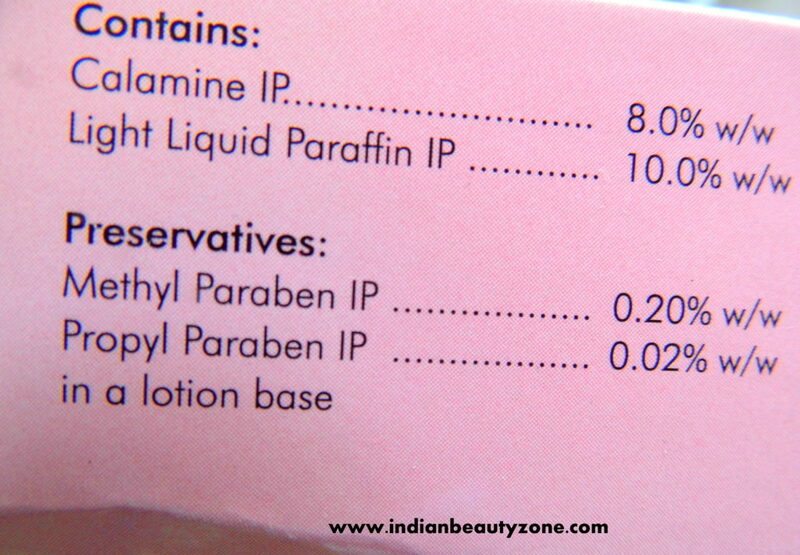 But, after my skin got back to normal this lotion starts to make my skin oily. So I stopped using it regularly. During summer I found this lotion is very useful for my sun burned skin and rashes due to sun exposure. This lotion really soothes the skin and calming down the sun burn immediately. I am using it for my kid also who is 6 years old. He use to get sun burn and prickly heat during peak summer. I use to apply this lotion on his affected skin liberally, within two days his prickly heat will get reduce. It calm down dry itchy skin very well, I saw one of my friend also using this lotion for her 4 year old kid for the sun burn problem. So, I use to stock up this lotion for whole through the year to keep the skin healthy. It helps to reduce sun burn and prickly heat. It can be used for whole through the year. It calm down the dry itchy skin well. Cures dry patches by continues application. You may find difficult to blend initially. Can be used only at indoor. 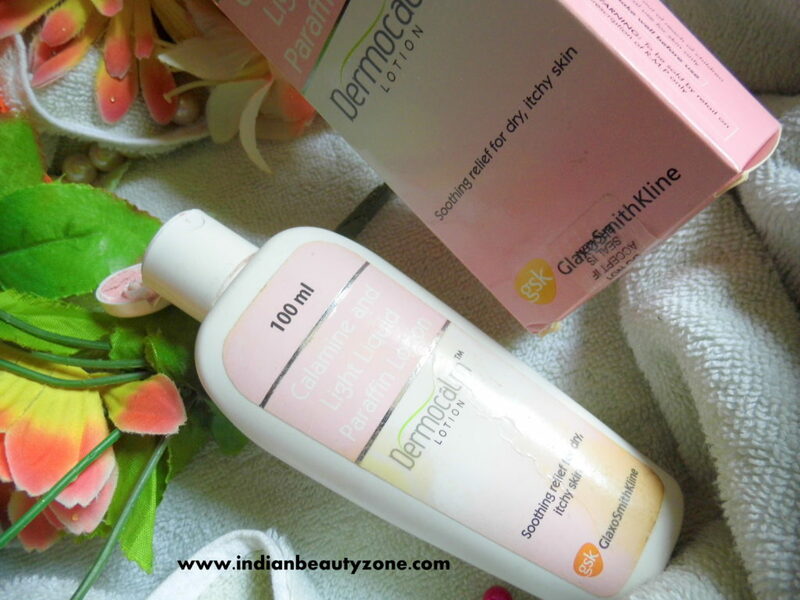 Dermocalm Lotion is an effective product for dry itchy skin and also for sun burn, prickly heat problems. It is helpful and works well.